powerGate v1.0. is released! It builds the connection between SAP and Autodesk. But everyone can use it individually without any Autodesk product. The only thing you need to have, is access to a SAP – System with a Gateway installed. You can test it right now! 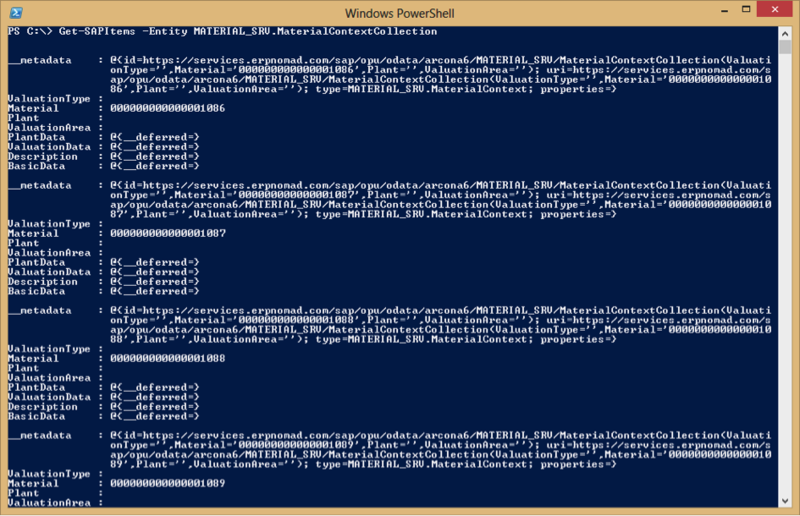 powerGate adds PowerShell command-lets to your PowerShell environment, which provides additional functions in PowerShell for SAP. Now, I will show you how to retrieve SAP-items and how you are able to filter and control them. It is just awesome right? It’s that simple. You can get exactly the information you want from SAP without any SAP knowledge. powerGate has much more command-lets. They are documented here. If there are questions, feel free to ask! Feedback is always welcome and get ready for the next post about powerGate! See you!